Did You Know A New Law Will Affect The Way Pennsylvania Cracks Down on DUI Offenders? According to the most recent PennDOT report on crash statistics, alcohol was a contributing factor in almost 30% of car accident deaths in Pennsylvania. This number has been increasing over the past ten years, and lawmakers want to put a stop to drinking & driving related fatalities. Drunken driving accidents are preventable, and it is important that drivers know the risks and repercussions of driving while intoxicated. As of August 25th, 2017 sentencing will change for first time DUI offenders. If a driver has a blood alcohol level over 0.10 and is a first-time offender, they are no longer completely restricted from driving. After being charged with a DUI, offenders can have a Breathalyzer enabled ignition interlock device installed in their vehicle. The interlock device allows the offender to drive, only after they pass a Breathalyzer test, before starting the ignition every time. Once the device is installed an offender is eligible to purchase a special operating license allowing them to drive. Lawmakers understand that many jobs require an individual to have a license, so the law has been changed for first-time offenders, in an effort to keep the roads safe by allowing this mandatory Breathalyzer test. This new law would allow individuals to keep working and after 6 months, they are eligible to apply for a provisional license while finishing the 12 months with the interlock device. 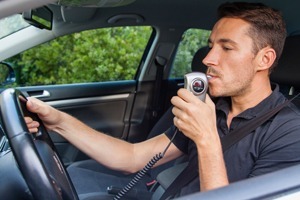 In the most recent PA DUI Association report, prior to this law, 5,500 interlock devices were installed in Pennsylvania. This prevented an intoxicated driver from operating a vehicle about 53,000 times. With alcohol now becoming widely available at Pennsylvania grocery stores, it is perfect timing to be cracking down on drinking and driving laws. Safety officials say that these Breathalyzer enabled devices have proven to help change the behavior of repeat drunk drivers and are confident this will make a difference on the roads. If you or a loved one is injured in an accident caused by a drunk driver, call Freeburn Hamilton at 717-777-7777 for help. One of our experienced Pennsylvania Drunk Driving Accident Attorneys will speak with you for free and explain your rights. We will fight hard to seek the maximum recovery to help cover all of your losses. Let Freeburn Fight for you after a serious car accident. Our experienced Pennsylvania car accident lawyers can represent you in your serious injury claim. Just call the 7’s for help. There is no attorney’s fee due up front, and we only get paid after you do.